Let's Brunch for a Great Cause! Join me for my last event of 2019! 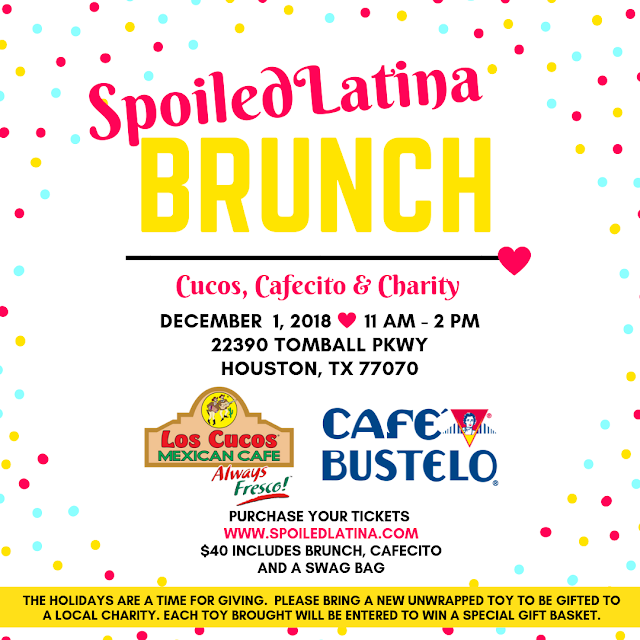 Cucos, Cafecito & Charity happening December 1st at Los Cucos. This will be a morning filled with motivation, inspiration, and charity in a Mexican Posada setting. The holidays are a time to give back, this brunch would be a great opportunity to give back to local underprivileged children who are deserving of a happy and merry Christmas.